Not everyone realizes this but a good roof is actually a great investment. Not only will it protect a building’s interior, give comfort to its occupants, but also it increases the value of the building itself. Victor Dubois is a real estate developer. He owns a couple of malls, farms, and more. He was looking to sell one of his malls but had a big problem. Victor Dubois owned a mall with a flat roof which was never replaced ever since its initial construction. The roof structure was made of wood and was suffering from multiple leaks. He wanted it fixed before he would sell it. After getting quotations from several roofing contractors, he ended up speaking with Cox Roofing Systems which offered him great suggestions to fix his hundred-year-old roof. Dubois took Cox Roofing’s advice. • The building’s energy bills had decreased. • The building became quieter which the tenants were really happy about. • Increased property value because of the benefits and guarantee of the new roofing system. As a real estate developer, Dubois had a problem with the building that he was going to sell: Its roof is 100 years old and is made of wood. What annoyed him aside from the roof’s age was that it was leaking all over the place. He didn’t know what to do with the roofing problem so he asked for quotes from multiple roofing companies. Cox Roofing Systems came in, inspected the wood structured roof, and showed Dubois a step-by-step process of how they would fix it. First, Cox Roofing cleaned and fixed the damages on the roof. 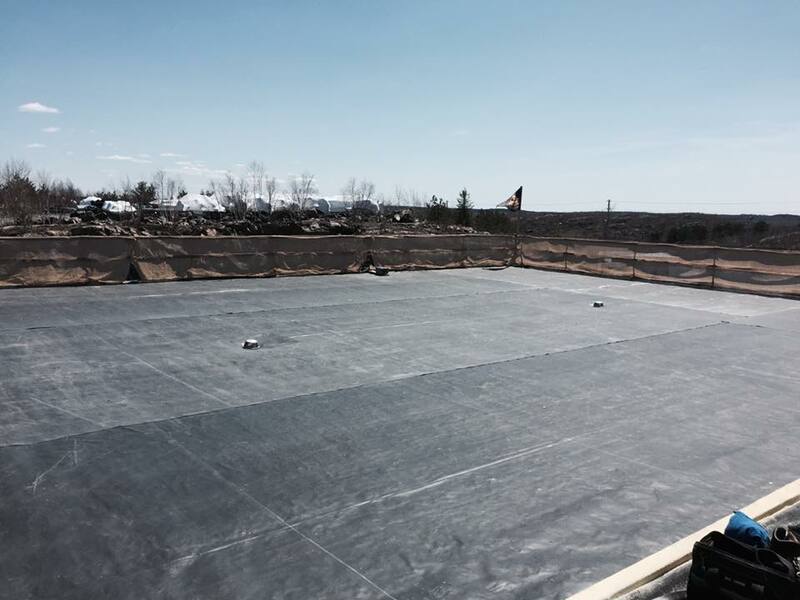 Then they proceeded to install their Tri Thermal Roofing (TTR®) system, a roofing system that combines two roofing types which are the EDPM membrane and spray applied Polyurethane insulation. 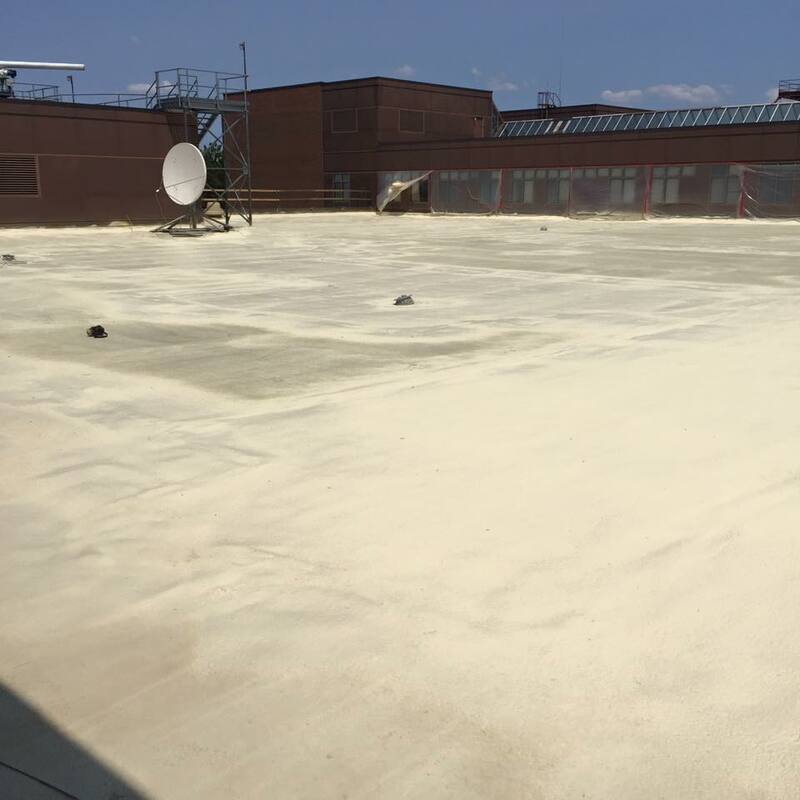 What made the TTR® a perfect solution to Dubois’ roof was that the combination of two roofing systems meant more excellent features such as insulation and resistance from moisture, heat, UV, and environmental damage. Dubois was more than satisfied with the results. He said that he was “happy with everything” after the installation was done. “Yes, there was an energy saving. What I could say was that my tenants were happy with the fact the building was a little bit quieter because there’s a foam up there (spray polyurethane). They wouldn’t hear so much what’s going on outside their units,” said Dubois. There were no leaks since TTR was installed. He was impressed because he didn’t know what to do about the puddles on his roof and yet Cox Roofing was there to take care of the problem themselves. He was pleased with the good price, cleanliness, the crew, and the 20-year guarantee free annual inspection. Dubois ended up getting more money for the mall because of the workmanship and the guarantee. “The person that purchased the mall did not argue for a minute over the price, so I got more money. The cost of the roof cost me nothing because of the value afterward for the subsequent owner,” he added. Overall, Dubois would “highly recommend” Cox Roofing to other people with the same roofing problem because of his experience.